Skunk spray odor can permeate just about everywhere in your home. The smell can linger for along while especially in books and paper products. 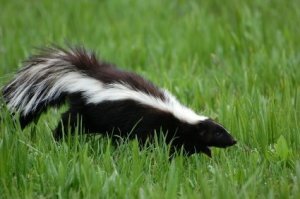 This is a guide about removing skunk smell from books. I need to find out how to get a skunk smell out of school books with out ruining them. Need information asap. To remove musty smells from old books insert books into plastic bags, insert a fabric softener sheet, close bag, and let set for a day of so. Can also insert a sheet of fabric softener between the pages of each book and leave there indefinitely. this should work quite nicely. For really stubborn smells place books into plastic container, use a container with a tight fitting lid, place books in, set a cup of ammonia on top, seal as tightly as possible, let set for a while, this should remove all odors.